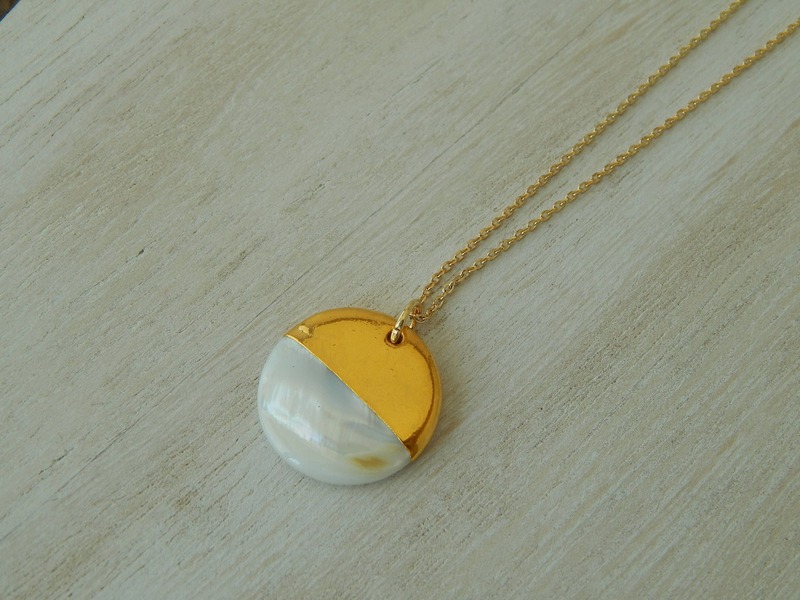 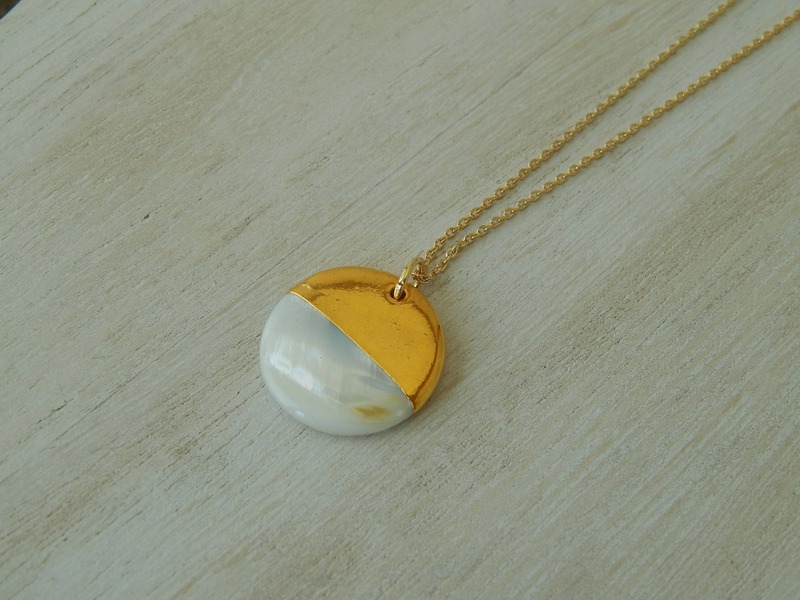 A mother of pearl charm dipped in 18kt gold plate hangs from an 18kt gold plated chain. 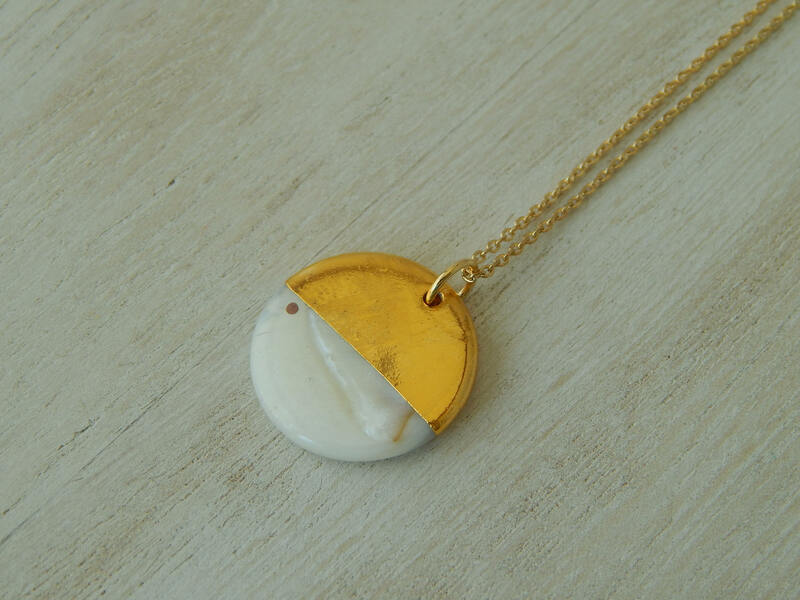 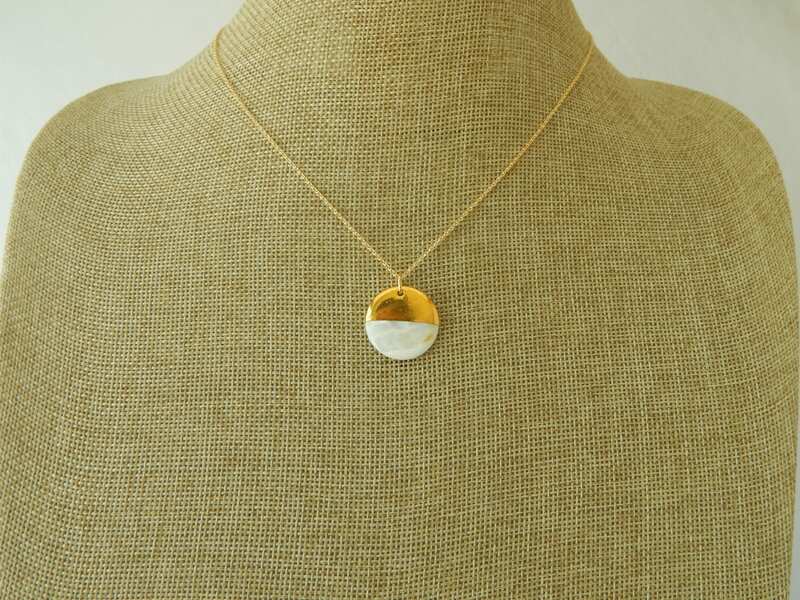 This delicate necklace is perfect for layering with other gold necklaces or wear alone for a simple refined look. 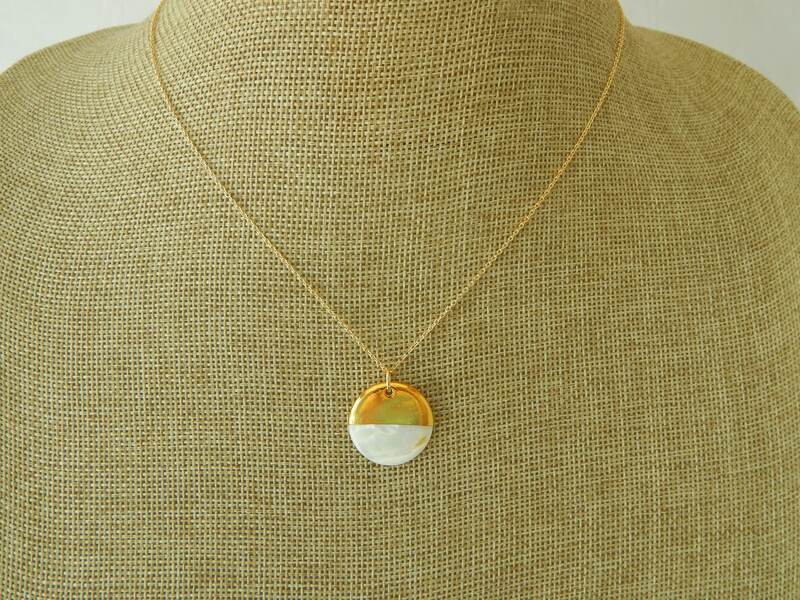 Necklace length is 18 inches and charm measures 20mm. 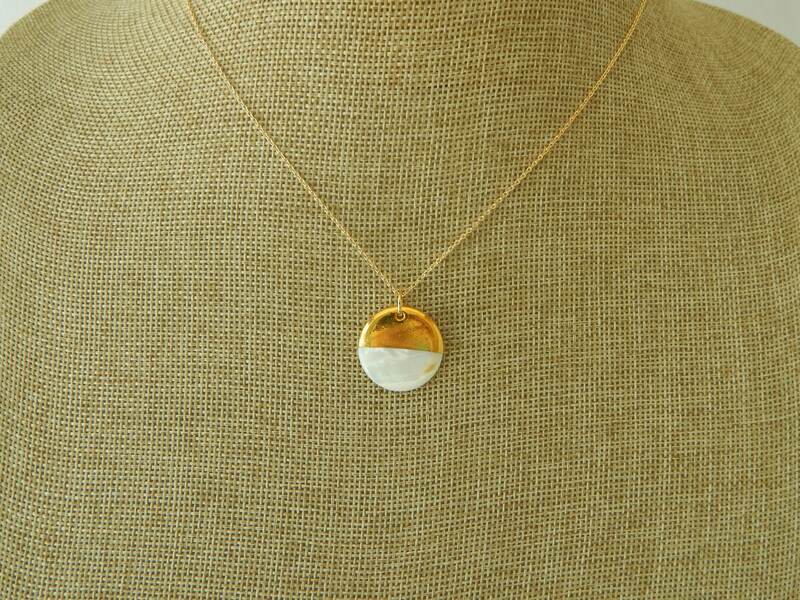 Available in 18kt gold plate chain or 14kt gold filled chain.